While a student at Georgia Perimeter college, Johnny Hardeman heard about the Bridges to Baccalaureate Program. He completed his BSN at Emory this past August. 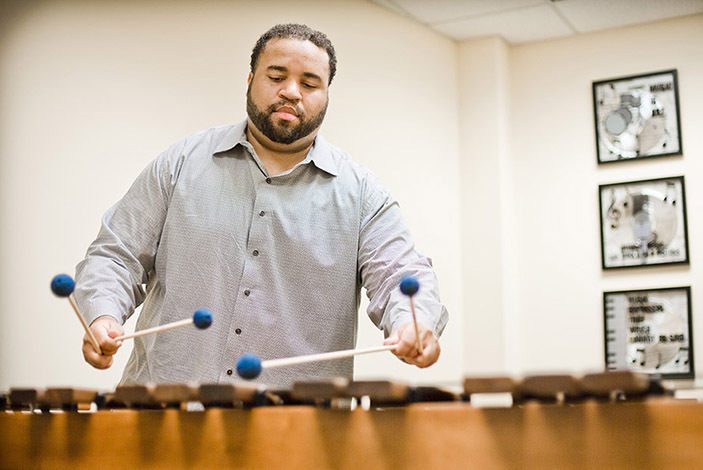 Johnny Hardeman practices the marimba at Emory’s Schwartz Center for the Performing Arts. He is a trained classical percussionist, has toured with bands and records music in a home studio. When she attended Harvard, Helen Clark played women's rugby and discovered that nursing aligned with her holistic view of health care. Playing rugby, Clark loves the physicality of the sport and how it promotes body positivity in girls. Samantha Hydes mentors teens in the Health Career Academy at North Clayton High School. More nursing student profiles are included in the Fall 2016 issue of Emory Nursing magazine. At Emory, there's no such thing as a typical nursing student. All have diverse interests and backgrounds, and many hold bachelor's degrees from the nation's most competitive universities. In the past year, the number of BSN applications increased by more than 190 percent, and this year's entering class is the largest ever. They are drawn to the Nell Hodgson Woodruff School of Nursing for a number of reasons. A curriculum built around the care continuum across the lifespan and emerging areas such as population health and ambulatory care. A commitment to research, service learning, and leadership spanning from the bedside to the board room. And opportunities for clinical practice in more than 500 settings. Whatever their degree track, Emory nursing students aspire to become excellent, compassionate leaders in health care. Each has a story to tell. Meet three current Emory nursing students, pursuing three different degrees -- BSN, MSN, and PHD. When he was a child, Hardeman could walk from his house to Emory's Oxford College campus to work on projects for school. He later attended Georgia Southern University, where he trained as a classical percussionist. He has toured with rock and roll, country, and other bands and still records music in his home studio. Every summer, he teaches drum line and writes music for marching bands throughout the Southeast. After his daughter was born nine weeks early, Hardeman clocked out at work and clocked in at the NICU to stay by her side for two months. "I saw how the nurses had a heart for working with my daughter," he says. "That's what turned me on to nursing. They were helping more than just the patient. They were helping families. That started me on my pathway." 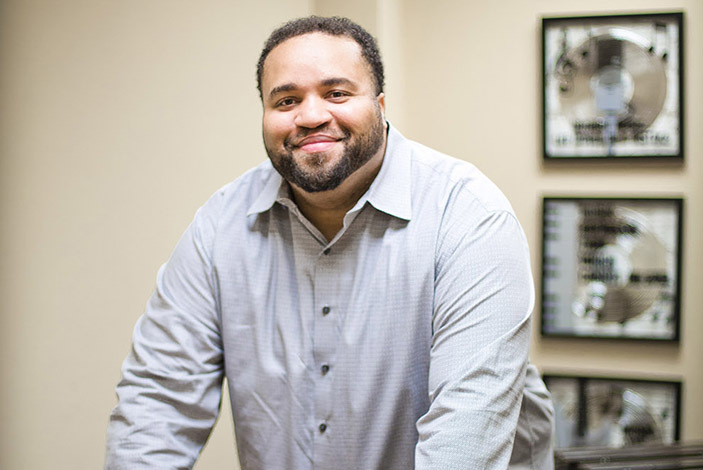 He first studied nursing at Georgia Perimeter College (GPC), where he learned about the Bridges to Baccalaureate Program, funded by a National Institutes of Health (NIH) award to GPC and Emory, which prepares minority students for careers in nursing practice and research. Hardeman completed his BSN at Emory this past August. The diverse experiences of nursing faculty. "They've worked with people who have nothing, and they've done it for years. Their hearts extend globally far beyond any hospital. They each give something special back to the class." Now a first-year student in Emory's nursing PhD program, Hardeman is looking to tease out an area of study. But he knows one thing for certain. "If I can contribute to the scientific body of nursing knowledge to reduce health disparities and improve outcomes, I'm ready to sacrifice five years of my life to help my community." The individual at NIH who came up with the Bridges to Baccalaureate Program. "I'd like to personally thank him or her for seeing the value of diversity in nursing and higher education." To become dean of nursing at a prestigious university. 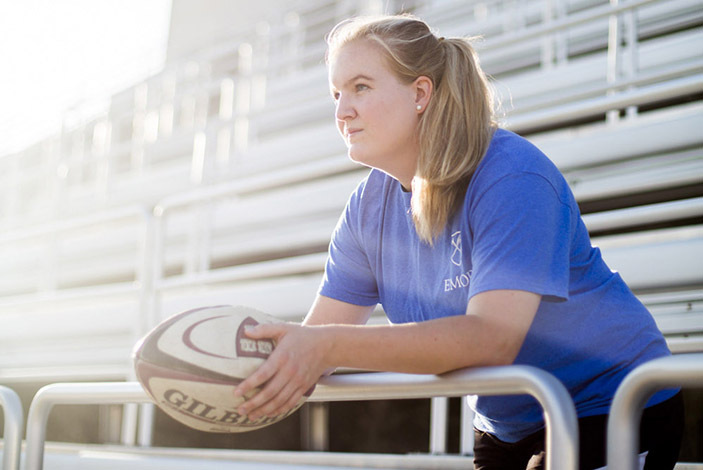 As a forward on Harvard University's first women's varsity rugby team, Clark loved the physicality of the sport and how it promotes body positivity in girls. And while taking a Harvard class on sexual health and reproductive justice, she realized that the wellness-based, holistic philosophy of nursing lines up with her own philosophy of health care. Stints with Partners in Health and in a mobile clinic in Honduras as part of the Harvard medical brigade strengthened her resolve to pursue a nursing career, preferably abroad. At Emory, Clark found a community of learning committed to her success at every step of her nursing journey. She also was drawn to the school's commitment to global health service and research. The diverse backgrounds of her fellow students. "It's been really cool to meet people who have been emergency medical technicians or certified nursing assistants, or in the pediatric emergency room. Some have a masters in public health and worked in HIV prevention for 25 years, and others came to nursing school from college like me. We're learning a lot from each others' experiences." She draws parallels between rugby and her decision to work as a midwife to populations without access to health care. "I learned from rugby that my body was powerful, not a liability. I want to help women discover how powerful their bodies are, how much they can do on their own without medical intervention, and how rewarding the birth experience can be." 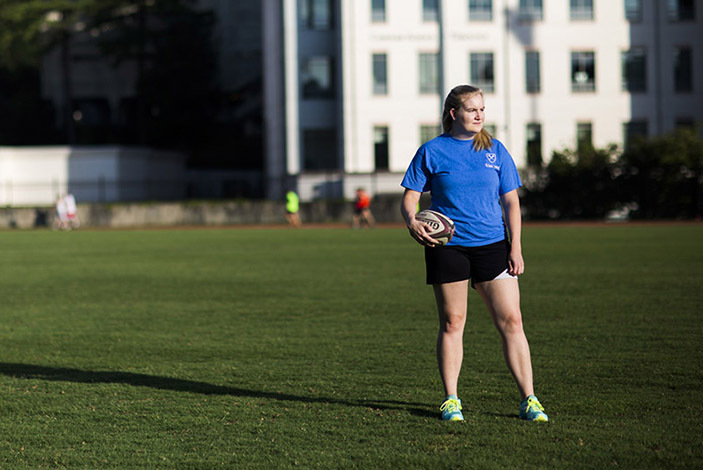 She is playing on the Emory women's rugby club team this fall. Goza was inspired to live a life of service by her grandmother, who taught English with the Peace Corps in the Dominican Republic. Later, Goza studied global health and infectious disease at UCLA and worked as a nurse's aid before signing on with the Peace Corps herself. She served in Senegal, where she educated community members on nutrition, maternal-child health, water and safe sanitation, and malaria prevention. "I really enjoyed my time in Senegal," says Goza. "I was able to make some sustainable changes for communities there and gain a better understanding of myself and the world around me. It further motivated me to go back to school for a nursing degree." After enrolling at Emory's School of Nursing in 2014, Goza was named one of its first two Paul D. Coverdell Fellows in 2015. These fellowships support Returned Peace Corps Volunteers. Opportunities for leadership and advocacy within day-to-day practice as nurses and nurse practitioners. As Coverdell Fellows, students are charged with taking on projects in the community. 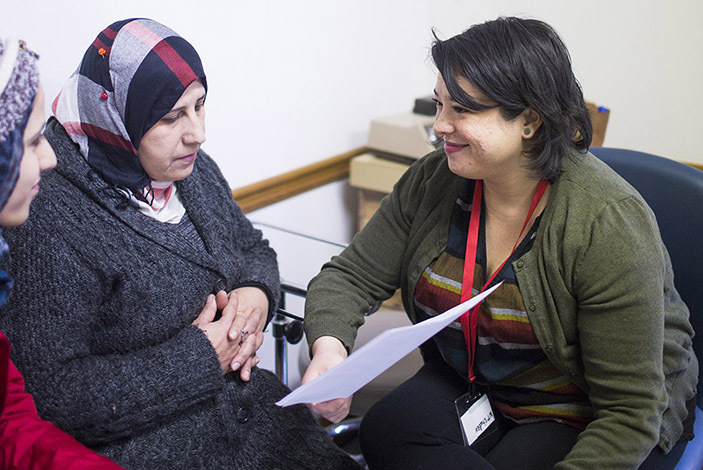 Goza chose to work with patients in the Clarkston Community Health Center. Services there are free for patients, most of them refugees. One of her goals is to start up health education classes at the center. Camara Jones, American Public Health Association president. "One that allows me to put patients first, not profits. I'd like to have the time and availability to make sure that my patients go home confident that they understand their medications and care plan."